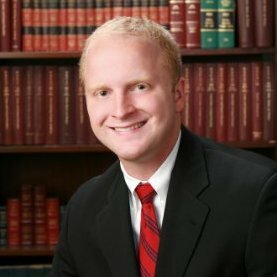 With over 10 years practicing public accounting; Matt has established a reputation for providing outstanding tax and accounting service to individuals, small to midsize businesses and non-profit organizations within a vast variety of industries. Matt earned a Bachelor of Science in Accounting and Finance from Oklahoma State University fall of 2008. He later obtained the designation of Certified Public Accountant February, 2011. He is a member of the American Institute of Certified Public Accountants and the Oklahoma Society of Certified Public Accountants. Matt resides with his wife Claire and their two children Mason and Charlotte in Owasso, Oklahoma. He is actively involved with his church, enjoys Oklahoma State athletics, golf. Matt serves as current board member for the Tulsa Memorial Boys Basketball Booster Club and Bailey Educational Foundation in Owasso. Before joining Jay, Campbell & Co., CPAs, PLLC, Cindy held an accountant position with Stanfield & O’Dell, CPAs in their Owasso office. When Kenn Campbell acquired the firm, she remained on staff and continued to serve both current and new clients. Cindy performs bookkeeping, sales tax, and payroll services for the firm’s clients. She holds a Bachelor of Business Administration degree in Accounting from Clayton State University and an Associate Degree from Kennesaw State University, both in Georgia. She received QuickBooks certification as a Pro Advisor in 2009. Early in her career she was a Budget Analyst for the General Services Administration in Atlanta, Georgia. Cindy and her husband, Mike, have lived in Owasso since 2000. They have three children and three grandchildren. They are active members of Central Baptist Church in Owasso. Jay, Campbell & Co., CPAs, PLLC is a full-service accounting firm serving clients throughout the Tulsa, OK area, dedicated to providing our clients with professional, personalized services and guidance in a wide range of financial and business needs. © 2019 Jay, Campbell & Co., CPAs, PLLC All Rights Reserved.